For nearly a century following the publication of the constitution the Fraternity flourished, growing in members and achievements. However, by the 1990s history seemed to be repeating itself, as Beta Theta Pi and other fraternities again struggled to prove their relevance, this time on competitive college campuses. Universities began to be less tolerant of fraternities that did not live their values or add to the academic mission of the institution. Parents began to take a greater interest in the campus involvement of their children. Students themselves became extremely selective in where they chose to allocate their time with jobs, internships and graduate school admissions on the line. Beta Theta Pi needed a response to this emerging call for relevance. 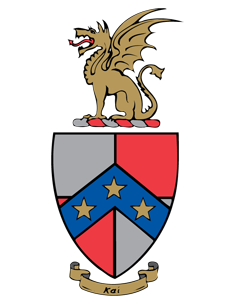 Beta Theta Pi’s response was the Men of Principle initiative in 1997. Fraternity leadership attempted to tackle the issue head on with a new public restatement of the principles and obligations in modern terms — the Mission, Vision and Goals. However, more was needed to improve the Fraternity than a mere republication of its objects. The Initiative’s philosophy became the centerpiece for expansions, and for many chapters, in recruitment and member education. This has met with great success by recruiting men who first believe in the values of the Fraternity and then share bonds of friendship with like-minded men. Further, as part of the Men of Principle initiative, the Fraternity developed numerous leadership development programs aimed at facilitating increased values-based discussions and empowering undergraduate leaders to improve their chapters. Many of these programs feature in-depth sessions about the Ritual of Beta Theta Pi – a key component to facilitating a greater understanding of the Fraternity’s purpose.